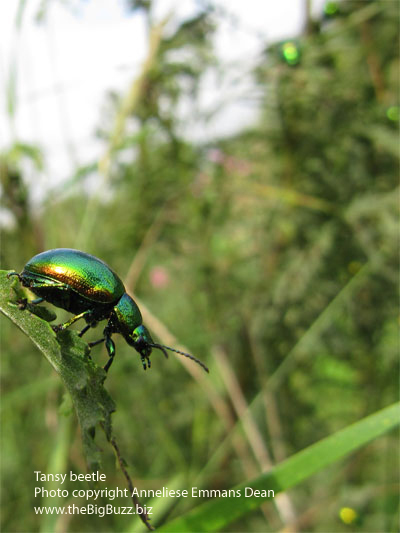 The Tansy beetle is now very rare in Britain. One of the few places it’s found is on a short stretch of the river Ouse in and around York, where I live. And one of the best times to see it is now, August, just after the pupae have emerged. I thoroughly recommend a walk along the river Ouse hunting for Tansy beetles. I saw these ones on Fulford Ings. 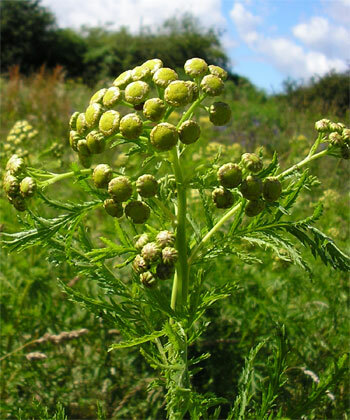 Look for them on Tansy plants (see photo below) – their favoured food. When you come across a cluster of iridescent Tansy beetles, glistening in the sunshine … well, there’s very little to beat that gorgeous sight! You can hear the poem I was inspired to write about the Tansy beetles as part of my award-winning, multimedia Buzzing! show. These beetles also feature in the poem I was commissioned to write for the BBC World Service about York’s wonderful wildlife . A big Thank You to Verna Campbell, Chair of Fulford Parish Council, for letting me know exactly when and where to go to find them.